*Fantastic penthouse in Tossa de Mar, located within walking distance of shops and restaurants and a few meters walk to the beach. 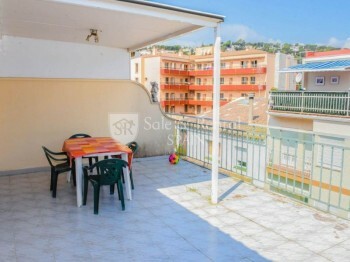 It is a nice sunny flat, with approximately 125 m2. It is distributed in an entrance hall, a spacious living room, a beautiful independent kitchen, 3 very big bedrooms, 1 toilet and 1 bathroom. It has a balcony from where you can see a little the sea and the castle and a huge terrace of approximately 25m2, with a laundry area and storage room, with views of the mountain, ideal for eating outdoors while enjoying its views. This great apartment is a fabulous opportunity, for its location, price and its finishes. Come to see it!